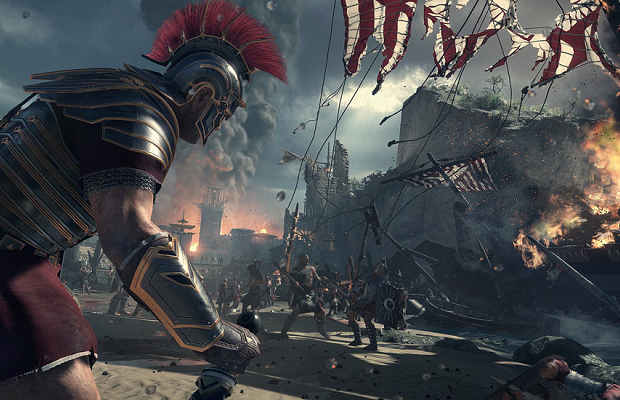 With only three days until the launch of the Xbox One, it won’t be long until the general public has access to Ryse: Son of Rome. The launch trailer for the blood-soaked adventure released recently, and it’s full of barbarians, flaming boulders, and dismembered limbs. Check out the action below. Ryse: Son of Rome places players in the role of Marius Titus, a Roman general with a barbarian horde on his hands. We’ll follow Titus from early childhood to his experiences leading Roman legionnaires into savage combat, filled with brutal QTE based finishers. The game aims to be one of the graphical powerhouses of the Xbox One launch this Friday the 22nd.